YRC Committee. (2011) In Memoriam Historical Notes. Yorkshire Ramblers' Club Journal Web version. Leeds: YRC. 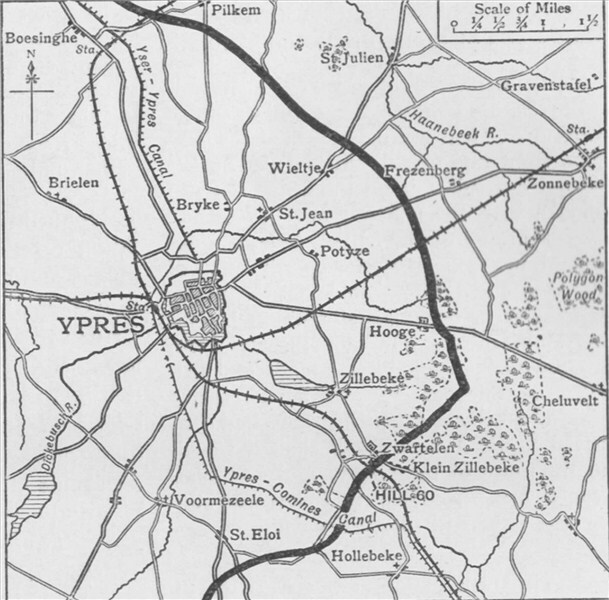 The line between Zillebeke and St. Eloi is SE of Ypres (click map to enlarge) and formed part of the line along which the first trenches were built between the First (Oct 1914) and Second (Apr 1915) Battles of Ypres. Further information is found on First Battle of Ypres and Second Battle of Ypres. 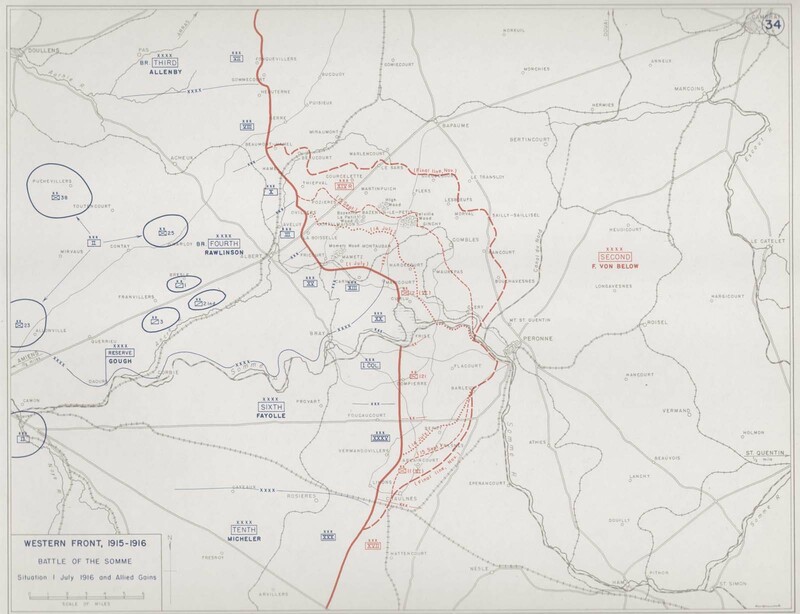 The "Action of St. Eloi" 14-15 Mar 1915, was a battle to recapture 'The Mound' (top right on the map) which was lost the previous day during the Battle of Neuve Chapelle. Neuve Chapelle was the first attempt by the British to launch an assault from the trenches. In this same action Lt George Davies was killed; who was the step-son of the author Sir James Barrie and the model for Peter Pan (click map to enlarge). 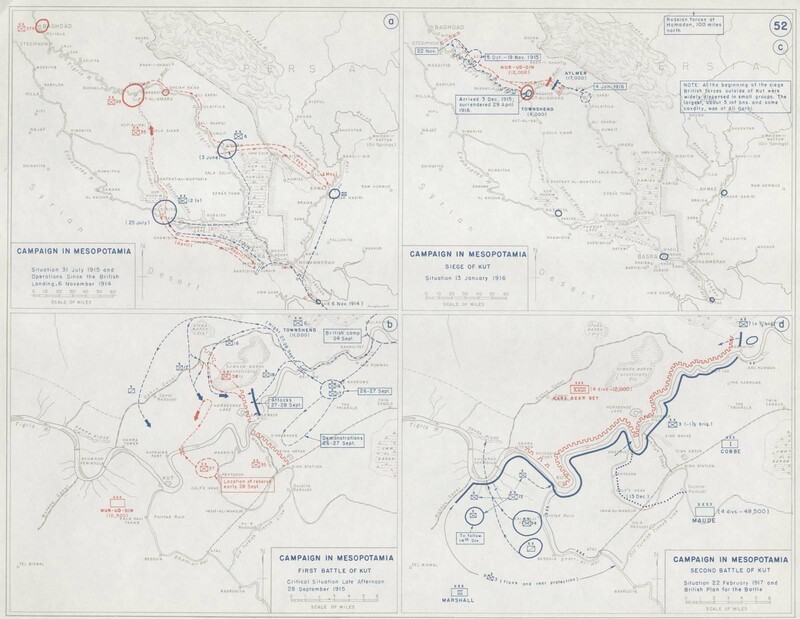 The Battle of Dujaila (Jan - Apr 1916), was the third attempt to relieve Kut-al-Amara in Mesopotania (Iran). This was ultimately unsuccessful and having sustained some 23,000 casualties trying to relieve the, the British; some 8,000 troops; surrendered on 29th April 1916 (click map to enlarge). Waud died during the First Battle of the Somme. Fricourt is highlighted on the map (click map to enlarge). The last major German offensive (Operation Michael) started on 21st March 1918. Almost successful, many ad-hoc units were pulled together to defend the line. This was the last effort by the Germans before they finally succumbed to the attrition of 4 years of war. The approximate position of Amiens is marked on the map (click map to enlarge).